“Ginger” has been baptized in Jesus’ name and filled with the Holy Ghost for over 10 years. Early in her walk, she was a little unstable (as most of us are) and ended up falling for a guy, “Tyrone” who was “churched”, but not saved. Ginger was so smitten, she nearly considered backsliding! Tyrone ended up breaking her heart anyway, which was likely God’s way of delivering her. Although she was hurt, Ginger knew it was best. On occasion, Tyrone would call her to say “hi”. During one of these instances, he tried to get Ginger to let him come by for dinner (sigh, that tells you a lot right there). Disgusted, Ginger stopped answering the calls and they stopped for the next few years. Recently, the phone rang–Ginger didn’t recognize the number, thinking it was a family member. Oh, gobble-gobble, now!!! Tyrone was on the other end!! Regretting she answered, Ginger was curt but polite. Tyrone was very pleasant, though, asking about family, what she’d been up to and things along those lines. Ginger found herself enjoying the conversation and thinking, hmmmm…maybe this dude has changed. He suggested lunch since he’d be in the area, so they agreed to Friday. As Ginger read the Word that week, a couple of Scriptures came up. “As a dog returns to his vomit, so a fool returns to his folly” (Proverbs 26:11). Also, Joshua 9 where the usually astute leader and his men were fooled in part because they did not “…..seek council from the Lord” (v. 14b). She didn’t think much of the “warning” until talking with the Lord during her prayer time. The Lord was telling her NOT to meet up with Tyrone..rather invite him to church. When he called to firm up plans, Ginger let him know that she couldn’t make lunch and invited him to church. He heartily agreed and she was nervous, but excited that a soul would be coming to the house of prayer. Sunday came and “surprisingly” dude never showed up. Nor did he call to explain what happened or come to church on his own. And funny, the calls stopped, as well. 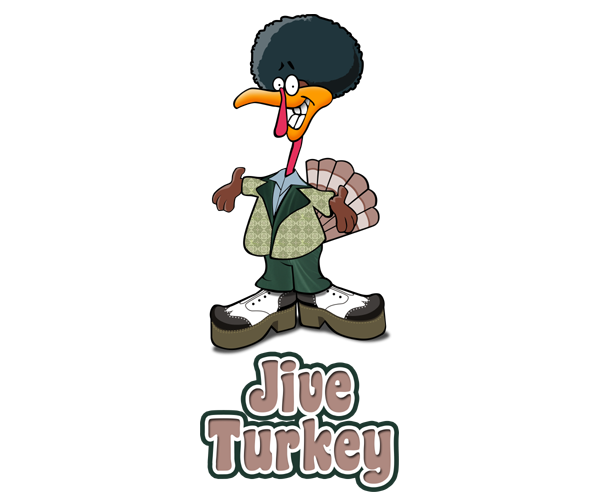 Umm hmm…anyone else smell jive turkey? OHHH… and going back to the firm-plans call, after Ginger declined, homeboy emphatically stressed he had taken that Friday off and assured her he could still meet her. We can’t say what was on his mind, but I wonder if he had a bag packed thinking he’d be spending the weekend with his sandal dangling off his toe..who knows? LOL!!! So while Ginger was a little miffed that Tyrone was still up to his old tricks and how she almost fell for them, she realized she followed the voice of the Lord and stayed in His divine will for her. That’s a blessing!! (I Corinthians 10:13) to those who choose the use the hatch! Next Post Rejoice with them that rejoice… right? YES!!!! @TrileyGraphics is in the house! :0D Thanks SO MUCH for your comments and for stopping by, my friend!!! Love you!!!!!! I definitely concur with TRiley! I thought I commented on this…I guess not! Sorry about that!!! And I LOVE your candid comments! It’s good to see the young people on board with what the “older young people” know about this area. Nothing is worth your soul. Rather wait on what God gives you so you KNOW it’s perfect!